As companies become more aware of the value of design and the expectation that consumers have for a good experience, a key question lies in the value of design. How much time should you invest in design? How much money do you have to invest in design to see a return? At what point in your product’s lifecycle should you focus on design versus simply features? These are all great questions that are hard to answer because it’s very dependent on the context of the specific product — its resources, team, stage of development, and audience. Justifying the value of investing in design is always a challenge (in my experience). There’s constant pressure to get to market because of competitor concerns or simply because a company has tied themselves to a launch date (which I really don’t recommend). Once, I had a boss who had come from a major Internet company say to me “what exactly do you do as a user experience designer” … needless to say I was speechless when she asked me that. Obviously, this made my job very difficult because I was having to justify the value of what I did and was constantly educating her on the importance of thinking through our entire experience and not features in silos. Because user experience is an evolving field and people find it hard to quantify design, I think use experience designers have their work cut out for them to justify the process and importance of design. For developers and manufacturers, the advantages of creating usable products far outweigh the costs. The rule of thumb: Every dollar invested in ease of use returns $10 to $100. This is from From IBM’s User Centered Design which is now unfortunately redirecting to a careers page, but here is the original link http://www-01.ibm.com/software/ucd/ucd.html#costjustifying from where this study was on the IBM website. For every dollar spent to resolve a problem during product design, $10 would be spent on the same problem during development and $100 or more if the problem had to be solved after the product’s release. 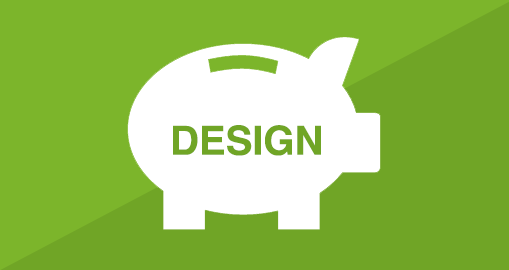 Do you struggle with trying to justify the value of investing in design? If so, what have you done to try and help your peers, teams, clients, and colleagues understand the value? I’d love to hear your stories and ideas on this topic.